Until the 21st century, most of our activities were private by default, public only through effort; today anything that touches digital space has the potential (and likelihood) to remain somewhere online forever. That means all of the technologies that have made our lives easier, faster, better, and/or more efficient have also simultaneously made it easier to keep an eye on our activities. Or, as we recently learned from reports about Cambridge Analytica, our data might be turned into a propaganda machine against us. 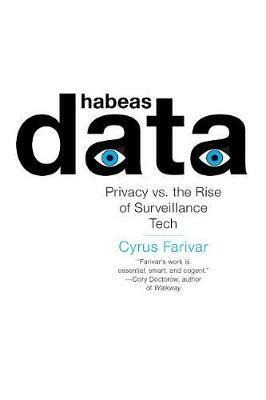 In 10 crucial legal cases, Habeas Data explores the tools of surveillance that exist today, how they work, and what the implications are for the future of privacy. Order online and we’ll ship when available ( 7 May 2019).